Malaysia has a long history of racial tension, dating back to the influx of Chinese workers in the 19th century, and which was exacerbated after Malaya gained independence from the UK in 1957. 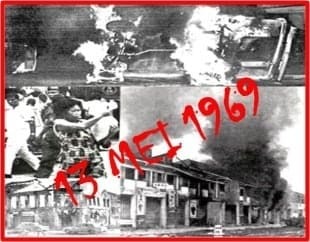 Constant tension simmered between the native Malay population and the more economically powerful Chinese population, which erupted into violence after the election of May 10, 1969. The governing Alliance won less than half of the popular vote and while it had a majority in Parliament, its number of seats was significantly reduced. The Opposition, despite their showing, claimed “victory.” Some Malays felt threatened and called for a procession; Malays were brought from the rural areas into Kuala Lumpur, which was a predominantly Chinese city. Thousands of Malays, some of them armed, arrived to join the parade. On May 13, the day of the procession, fist fights broke out between a group of Malays and Chinese bystanders who taunted them, which then escalated into bottle and stone throwing. 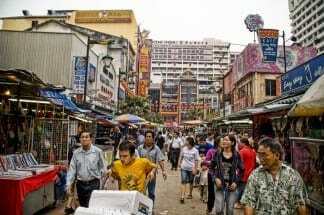 The Malays burned cars and shops, killed and looted in the Chinese areas. The violence quickly spread throughout the city. Over the next few days, hundreds of people were killed. 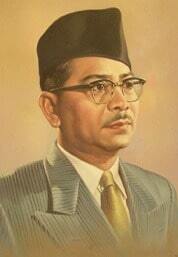 Malaysia’s first Prime Minister, Tunku Abdul Rahman, was forced to resign. The rioting eventually resulted in the New Economic Policy (NEP), which aimed to eradicate poverty for all Malaysians as well as reduce and subsequently eliminate identification of race by economic function and geographical location. John J. Helble served at the U.S. Embassy in Kuala Lumpur as Political Officer at the time of the uprising. Thomas F. Conlon interviewed him in April 1996. Read other Moments about East Asia and the Pacific. On May 11, 1969, a few weeks after my arrival in Kuala Lumpur, very important national elections were scheduled to be held. There was no question as to who would win the elections and retain control of the government. That was a multiracial coalition led by Tunku Abdul Rahman (seen left.) This included Malay, Chinese, and Indian parties…. The issue was whether the ruling coalition government could obtain a two-thirds majority of the seats in Parliament, which was their objective. This would then permit them to amend the constitution in any way they wanted. The opposition, primarily the Chinese parties, was determined to prevent them from achieving that objective. There was an ultranationalist Malay party that was running against the coalition. There were strong, Chinese-dominated parties in the opposition which, in particular, included the Democratic Action Party, the DAP, which was a spin – off from Lee Kuan Yew’s PAP [People’s Action Party] in Singapore. During the first five weeks that I was in the country, in my job as chief of the Political Section I was focused primarily on this upcoming election, as was my entire staff. One of my officers was a Malay speaker. Another member of the Political Section was a Chinese speaker. They worked their respective clientele. I got to know people from the various factions in those groups…Ambassador Bell had been there about five years and was approaching the end of his tour of duty. 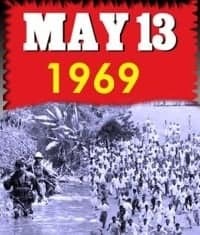 The day following the elections, May 12, 1969, they paraded in a large caravan through the streets of Kuala Lumpur, going past a couple of downtown Malay kampongs, or residential areas. Kampongs were little villages within the city proper which were entirely populated by Malays. The parade was very loud and noisy. Those taking part were tooting horns. They were essentially youths, waving their party flags and so on. From this demonstration came rumors, which were widely accepted and which spread like wildfire through the Malay community, that some of the Chinese youths had not only made racial or religious insults at the Malays but had thrown pieces of pork on the front porches of Malay homes. Eating pork is prohibited to Muslims, although many Malays eat some from time to time, though they don’t admit it. This display was very offensive to the Malays, who even believed that some of the Chinese youths had exposed their private parts to Malay girls living in these kampongs. These rumors were not believed by all Malays, but they gained a great deal of currency and aroused an emotional furor in the Malay community during the next 24 hours. We then had a first class example of that old Malay word – amok – and its meaning. In point of fact “amok” loosely means “to go crazy” or “to see red.” Someone who is “amok” no longer uses any logic. You just run around in an uninhibited fashion, wreaking mayhem, which is frequently associated with amok. However, as I say, that didn’t happen immediately. It developed during the following 24 hours. On the afternoon of May 13, 1969, the day after the Chinese victory celebrations, the Country Team at the Embassy met with Ambassador Bell to discuss the situation and to get abreast of what other people in the Embassy knew, including the intelligence community and so on. It was concluded that the Malaysian Government was well aware of the sensitivities of the situation, knew enough about it, and would be able to maintain control. It was felt that nothing serious was going to happen, at least in the very near future. Of course, I had only been in Kuala Lumpur for five weeks and didn’t have any profound insights to offer. However, I suspected that, indeed, there might be more to this situation than we had anticipated. After the Country Team meeting I went back to my office and asked one of our two secretaries who lived close to the Embassy if she was going to be home that evening. I said, “Well, I’d appreciate it if you’d stay at home in case I have to call you to come into the Embassy.” Then I discussed the situation with a communicator who also lived near the Embassy. He said that he’d be at home but would be on call. Then I talked to [Political Officer] Phil Gill and a junior officer, Barbara Schrage. They were free, so I suggested that we go out for dinner at a nearby hotel. I phoned home and told Joan that I was not going to come home for the time being, as I suspected that there might be trouble of some sort. So the three of us went to dinner at the Federal Hotel (seen left), which was, perhaps, six or eight blocks from the Embassy. There was a revolving restaurant on the roof of the hotel. We had ordered a drink and placed our orders for dinner. As the restaurant, with its magnificent view of that section of Kuala Lumpur, rotated on the top, we could see down in the alleys of the neighborhood a number of Police Federal Reserve trucks which were characteristically fire engine red, with blue uniformed Federal Reserve troops aboard. They were essentially riot control elements. So we speculated that somebody else thought that there might be trouble that night, because this was not the normal pattern. At about 7:20 PM, before we had been served our dinners, the loudspeaker on the hotel circuit announced that a curfew had just been imposed by the government, which would go into effect at 7:30 PM, and that any non – residents of the hotel should leave immediately. We dashed downstairs, caught the last cab that we could see in front of the hotel, and returned to the Embassy. As we approached the Embassy, we noticed that the road was blocked by a very large group of people, who were non – Malays and who seemed to be in something of an agitated state. We got out of the cab and walked the last half block to the Embassy. At that point we realized that, almost directly in front of the Embassy was another large group, separated perhaps 50-75 yards from the first group we had seen. The second group was composed of Malays. We were able to get into the Embassy building without any trouble and went up to the 12th floor, where our offices were. From our vantage point on the 12th floor of the building in which the Embassy was located we could look down and see this. Then we began to notice fires starting in various areas of the city in the view from our rooftop offices. We began receiving phone calls from Embassy people, reporting that there was trouble here and there around the city. Then the city seemed to explode with violence in all sorts of areas over the next two hours, as word spread that there was rioting going on. Other people became involved in it. 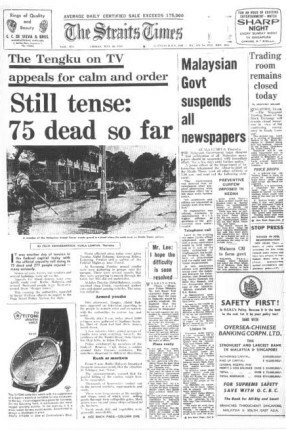 It seemed fairly clear that the violence was started by Malays in most instances. As I stated before, it was really an “amok” situation, as they just lashed out blindly at any non – Malays around them. We were concerned that anybody who was not a Malay by definition [was] a potential target, whether they were white, yellow, or black. So we were concerned for the safety of the American community. 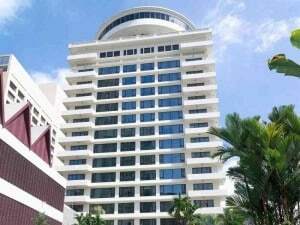 From the Federal Hotel, before I left there, I had called the secretary and the communicator and asked them to go to the Embassy, which they immediately did, arriving a couple of minutes before we did. 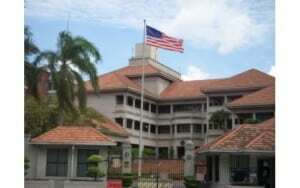 One CIA [Central Intelligence Agency] officer and another communicator were able to get to the Embassy, making a total of seven in the Embassy. Civil authority had broken down almost totally; the riots spread very quickly in a couple of hours throughout the city. The DCM [Deputy Chief of Mission] couldn’t get in from his house. The phone system worked throughout this time. We had a radio on which we could tune in on police bands, so we were able to gain a fair amount of information about where the police were going next and the situation as reported by various police field units back to Police Headquarters and so on. We started calling a number of people in the Embassy who lived in various sections of the city to see what was going on in those areas. In some areas things were quiet. In other areas there were fires and a lot of commotion. Some people reported that they had been caught outside of their houses, driving home or something like that, and went through a very scary situation. There was an AP [Associated Press] stringer in Kuala Lumpur whom we knew. Of course, in the best of journalistic traditions, he was out in the streets. Within hours he knew enough, for example, to check several of the local hospitals and find out something about casualties. The casualty figures came in slowly. The government casualty figures were never honest. We knew that from the diverse reports we were receiving. This is not uncommon in situations where governments don’t want to admit the degree of disorder that has occurred and their inability to handle the situation. It was clear that the government had lost control. The police were totally outnumbered and didn’t have the resources to deal with the situation. These incidents started early in the evening of May 13. Within six hours or so, one or more elements of the Malay regiments were deployed into the streets to restore order. They were not fully successful for at least 24 hours. On the morning of May 15, some 36 hours after the incidents began, the Ambassador and the DCM were finally able to reach the Embassy. The Malay regiments had not been trained in restoring order in the streets. There were several reports, none of which could really be confirmed but which were so numerous that there was obviously some truth to them that the Malay forces were shooting indiscriminately at Chinese houses. If anybody poked their heads out, the Malay forces would fire at them. I believe that there were enough incidents like that to aggravate the situation. Meanwhile, moving groups of Chinese and Malays continued to encounter each other and fight. The AP reporter would report that he found 13 persons dead at such and such a hospital and an undetermined number of wounded, and so forth. The numbers of casualties grew, hour by hour. Ultimately, to round off that particular element of the situation, in its final report the government reported about 200 killed. Other sources claimed that the figure of persons killed was in excess of 2,000. From our review of the evidence, I would say that a good, round number of persons killed would be in the order of 1,300-1,500. So there was chaos for a time, widespread torching and extensive loss of life. …The weight of the evidence was that there were far more non – Malays than Malays killed. Of course, in that respect, there was a companion allegation that that was in part because the Malay police and soldiers were backing up the Malays in the street gangs, rather than trying to suppress disorderly conduct by either side. Well, those riots really changed the power equations in Malaysia. The curfew, proclaimed on the evening of May 13, lasted for five months. During the first week it was lifted for an hour or two, in staggered sections of the city, so that people could get out to market and buy food…. It was a 24 – hour curfew. For two days it was a total curfew, and nobody at all was allowed out on the streets. By the third day the authorities had to do something about the food situation, so they tried to open a market for two hours in this section and two hours over there, so that the police forces could concentrate on whatever market was open. There were several, major incidents the first day the curfew was slightly eased, and it went back to a full, 24-hour curfew. Again, the authorities couldn’t starve the population totally, so they opened up this or that market for one hour at a time, with a much heavier presence of police. Emotions were extremely inflamed on both sides. The government security forces were very hard pressed. They had never seen anything like this. I should say that outside of Kuala Lumpur there were some incidents — in Penang and Ipoh — and some unrest, when people started to hear what had gone on in Kuala Lumpur. 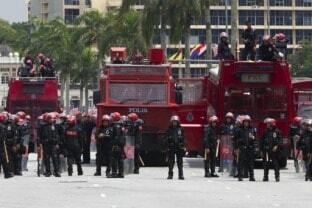 The rest of the country did not become as inflamed and did not have the explosive events that had taken place in Kuala Lumpur. Gradually, although incidents continued to occur, the curfew was relaxed for several hours — five hours for the whole city — as confidence began to be restored. As people had time to reflect that maybe this kind of street violence wasn’t quite the thing to engage in, and they were getting tired of it, over the next five months an atmosphere of quiet was reestablished. Of course, some people were arrested who were thought to have played some sort of leading role. However, there were very few in that respect, and there were no mass roundups. I said that the situation in Kuala Lumpur changed on an apparently permanent basis, because it became evident, as the political process developed, that it was difficult to know how to cope with all of this. Of course, there was never any official acknowledgment that the Malays had initiated the disturbances, so to speak, but it was clear that this was true. At the same time, there was plenty of evidence that the Chinese had taunted the Malays into the violence by their “victory” parade of May 12. From a political point of view the long and short of the government’s response was, “We’ve got to do more for the Malay community.” For its political survival, the government needed to do that. Government leaders were convinced that the Malay community would not continue to accept a situation in which the Chinese community heavily dominated the economic life of the country and held most of its wealth. There had to be some greater share of the economic wealth of the country directed toward the Malays. A number of economic programs and initiatives were undertaken, as well as the establishment of bumiputra (indigenous) Malay banks, manufacturing plants, and promises of greater educational opportunity. There was a movement toward the use of only Malay as the language of instruction in the school system. All of this was deemed essential if there were to be any degree of racial or communal harmony restored. Of course, the Chinese community basically fought all of this, inch by inch. However, in the final analysis, they had little alternative to accepting it, at least in part. In the last analysis it really didn’t hurt the Chinese that much, because they had always been successful in paying off Malay politicians to get breaks and favors where they needed them. Of course, Chinese financial influence led to a lot of corruption at the higher levels of the Malay community, including the leadership and the bureaucratic elements within it. That system had worked. Now, however, there was a question whether the Chinese could continue to do this on the same scale and whether Malay politicians and leaders could continue to be influenced by this process of corruption. Obviously, they would be risking their political necks if they didn’t deliver some goods to the Malay community. As time went by after the May 13 riots and the various sequels thereto, there were still eruptions going on five or six weeks after the outset of these disturbances. Some nasty incidents would erupt. The key point seemed to be that what the country needed to survive with some element of communal harmony or, at least, an absence of violent communal conflict, was that the economic wealth of that country had to expand. In other words, you wouldn’t cut too much into the Chinese community, and there still had to be opportunities for them. They were the engine of the economy. You couldn’t pour water into their gasoline tanks without creating severe consequences for everybody. Yet it would be necessary to expand greatly the opportunities and percentages of wealth held by the Malay community. The good news is that, looking back at the situation from the perspective of some 25 years, this has essentially happened. 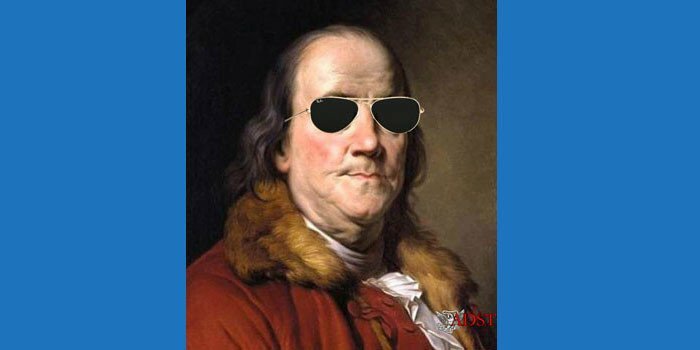 The country, which had considerable natural resources, has now made major additions to its natural gas and oil wealth, in addition to what existed in terms of timber, tin, and rubber. It has now expanded its industrial framework to include more than light industrial production. Medium sized and more sophisticated manufacturing activity is now widespread. Over the past 20 years Malaysia has had a more rapid rate of economic growth than the vast majority of other, developing nations in the world, even in East Asia. All things considered, Malaysia has had a stable, political leadership which has been relatively moderate but more Malay oriented, as they made the profound decision that they had to after the 1969 disturbances. Malaysia has been blessed with a fairly high quality bureaucracy and a relatively good judicial system, compared to much of Southeast Asia. In short, they have made a success of it. However, as you said earlier, racial tensions have not disappeared, but they have been moderated and wrapped in the blanket of economic success. This has allowed all of the various racial communities to derive some benefit and to have some hope for the future. But the hostilities are too deep, as we know from our own experience, to dismiss the possibility of a resumption of the threat of open hostility and a breakdown of government, should economic conditions deteriorate.